What kind of family do you come from? My family is a very small one. We were not extremely rich but we were very comfortable. I had everything a kid desired and I really enjoyed my childhood. When was the first time you considered acting as a career? I was a student of the Kwara State Polytechnic, Ilorin and I came home for a brief vacation. One day, my late foster brother, Fatai Teniola, was waiting for one of his casts to show up for a movie production. When the actress didn’t come, he and Kokonsari asked me if I could play the role. I replied that I couldn’t and that I was not even interested in acting. However, after much pleading, I decided to do it. I went back to school after that and I didn’t return for a long time so I forgot all about acting because it wasn’t in my plans. As of then, I was studying for a diploma in Law, with the intention of switching over to accounting because my father really wanted me to become an accountant. But I didn’t get admission to study accounting because I wasn’t good at mathematics. After school, I didn’t have anything to do, so I joined my foster brother’s production outfit and that was how it started. I then realised that it was something I enjoyed and I decided to go with the flow. Because I began to enjoy acting, I didn’t go back to school for my Higher National Diploma. That was when it occurred to me that I could take it up as a sustainable career. I rose fast in the movie industry because as of the time I joined, there weren’t too many actresses in the industry and I was getting ample jobs. However, after few years of acting, I travelled to the United Kingdom. Did you eventually complete your studies in the UK? Yes, I enrolled in a part-time drama course, though I did not finish because I got pregnant along the line. But I still had the determination that I would go back to school. Last year, I went to the Olabisi Onabanjo University to study Filming and I am happy about it. Can you recall the first movie you acted in? It was either T’alo pa Chief or Secretary and that was between 1989 and 1990. Which movie made you popular? T’alo pa Chief was a very popular movie back then and I played a major role in it. Then I was using the name, Faithia Williams and some people still refer to me by that name. After I got back from the UK, I acted in Abule Sowo by Yinka Quadri and that revived my career again. What were some of the challenges you faced at the beginning of your career? I usually tell people that there are challenges in all careers, even for meat sellers in the market. One has to pay his or her dues when coming up. You cannot just get there and think you would rise to the top in no time. If you don’t have endurance and patience, you wouldn’t be able to make it because you will get to hear a lot of messed up things. There is also an incident that happened at the early stage of my career. After returning from London, I was invited to act the sub-lead role in a movie outside Lagos. When we finished shooting the first day, the director said the lead actress, who was reigning at that time though I started acting before her, would sleep in the best hotel in that town, while I would follow him to his one-roomed apartment. I ended up sleeping on a couch for two days and I didn’t complain. But I prayed to God and asked Him to make me grow bigger than even the lady and I’m grateful for where I am today. I’ve produced about 15 movies. What were some of the challenges you faced while producing those movies? If you ask me to choose between acting and producing, I will pick acting because it is less stressful. When you’re acting, you’re like the boss because everybody will be fussing over you. But when producing, you will be the one to run after the actors and make sure they’re okay. That makes me mad because some actors can be very difficult to handle, but you must not lose your calm. While producing Asa, which is my biggest movie, it was during the rainy season and I couldn’t shoot for some days. Meanwhile, I was feeding over 500 people on set. It was very tough but I was able to scale through. Do you think there’s tribalism in the movie industry? I wouldn’t call it tribalism; rather it has to do with how everybody started. We started acting in Yoruba while they were speaking English in their movies. If we want them to act in our movies, we would have to call them and vice versa. But the only painful part of it is that they feel we are not educated and cannot speak English. That irks me a lot because we have a lot of educated people in the Yoruba movie industry. If you were not an actress, what do you think you would have been doing? I honestly don’t know. Even if I had completed my education at the initial stage, I don’t think I would have worked with my certificate. However, I like engaging in business and I am already doing that alongside my acting career. Would you consider yourself a fashionable person? In my own little way, I think I’m fashionable. I like looking good and I spend a lot of money to achieve that. I love shoes and bags and I can do anything to get them. What can you never be caught wearing? I can never wear bum shorts, except in movies. I feel my legs are not straight, they are bowed. I believe that wearing bum shorts with bow legs looks funny so when I see people doing that, I feel it’s awkward. I’m a homely person and I cherish my privacy a lot. If I’m not working, I will either be sleeping or watch movies in my house. But once in a while, I visit cinemas. Not really, because I feel very stupid doing that and I criticise myself a lot. Are you still willing to give marriage another shot? I don’t know if I’ll fall in love again but let’s leave that to God. Never say never. What are the qualities your ideal man must possess? I wouldn’t tell you because anytime you see me with anybody who has those qualities, you would assume we’re dating. But the most important thing is that the person must be God-fearing. Do you think it’s advisable for entertainers to date each other? We all have our lives to live and I cannot dictate to anybody. What is your official name now? My name is Faithia Williams. 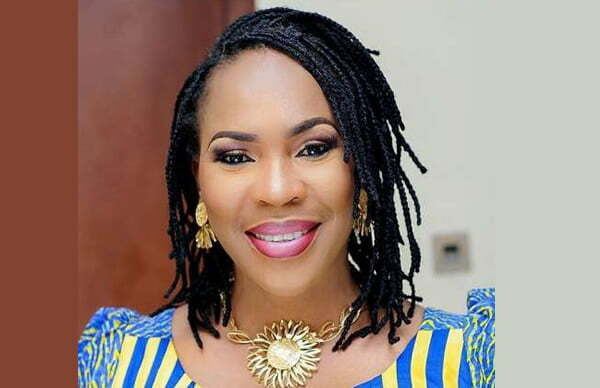 But most people know you as Faithia Balogun; don’t you think it would be confusing to your fans? I don’t think so. Many of my fans still call me Faithia Balogun and even in movie credits, I am referred to by that name. You recently celebrated your birthday, would anything be changing for you? Yes. I have a lot of projects on my table and I also have a new management team that is working hard. It had always been hard for me to get my management team right but thank God I’ve got the best in town now and we’re working hand-in-hand to execute my projects. I am passionate about the girl child and I have a short movie coming soon about that. I featured in Kunle Afolayan’s new movie, Roti, and I’m very excited about it. It will be showing in cinemas soon and I want my fans to keep a lookout for it. I also hosted some of my loyal fans to brunch recently. Are you really 50 years old? I am not and my family knows that. If I clock 50, I would announce it to the world in a big way. I’m still in my 40s. I am in my mid 40s. Is any of your children following your footsteps as an actress? I have seen little traces. My son writes a lot of scripts and he wants to study Cinematography. My daughter also likes writing and she wants to study English. However, they both don’t like to act. A lot of people don’t know that you’re not Yoruba? Anybody that doesn’t know that is not my true fan. I’m from Delta State, Urhobo to be precise. Notwithstanding, I’m so proud and glad to be in the midst of Yoruba people because they are very wonderful. Nice one Mama….. Wishing u all d best.